YOU MIGHT ASSUME THAT, being from Ontario, we’d know a lot more about Michigan. After all, it’s our neighbor — in just a couple hours, we can be across the border exploring everything the state has to offer. Sure, we know it’s shaped like a mitten, and that it claims four of the five Great Lakes. We’re forever in awe of its green forests, and we know it has an abundance of outdoor adventures. But when my husband Dave and I traveled across Northern Michigan from Charlevoix to Alpena, we discovered surprising facts and unique adventures we didn’t know existed in the northern half of the Wolverine State. Here are the highlights. 1. It has its very own castle. Constructed in 1918, Castle Farms is a French Renaissance castle built by Albert Loeb, then vice-president of Sears, Roebuck & Company. Located just outside of Charlevoix, it showcased farm equipment and his prize cattle. In 1969, it was sold to rock promoter Arthur Reibel, who used the venue for concerts — drawing huge acts like Bob Dylan, Metallica, The Police, and the Beach Boys. Today, it’s been fully restored to its original grandeur, reminiscent of the stone barns and castles found in Normandy. Visitors can tour the grounds and marvel at the beautiful gardens, castle towers, and the intricate outdoor model railroad. 2. Hemingway spent lots of time here. Wherever we travel, it always seems that Ernest Hemingway stopped to have an adventure or two right where we’re standing. But it’s in Michigan where he didn’t just stop — he spent much of his formative years here. In total, 21 of his summers unfolded in the Petoskey area, and it was at Walloon Lake where he honeymooned with his first wife, Hadley Richardson. Their marriage license is on display in Charlevoix at the Harsha House Museum, and, if you visit Petoskey, you can tour the many old haunts of Hemingway that later became the setting for many of The Nick Adams Stories. 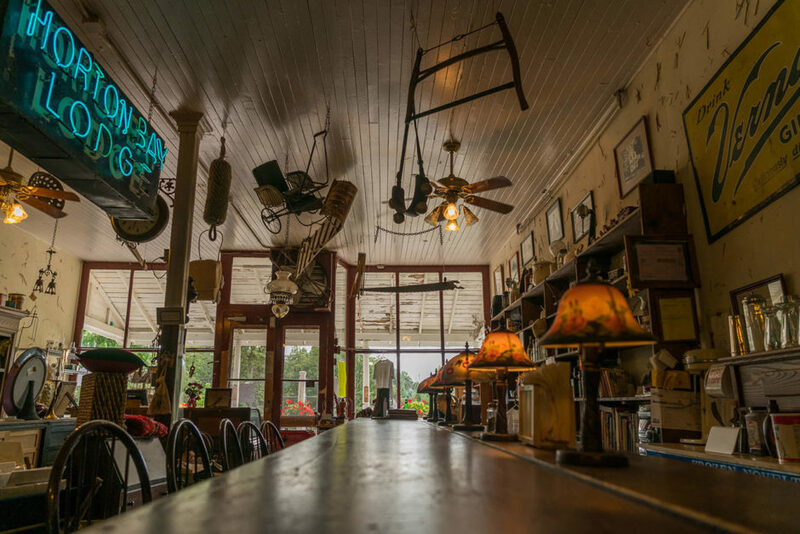 Everything from where Hemingway played billiards to where he wrote stories to where he went for a shave and a haircut is on the list. 3. Hobbit homes do exist, and they’re a quick drive away. You don’t have to fly all the way to New Zealand to see Hobbit homes — leave the passport at home and head to Charlevoix. 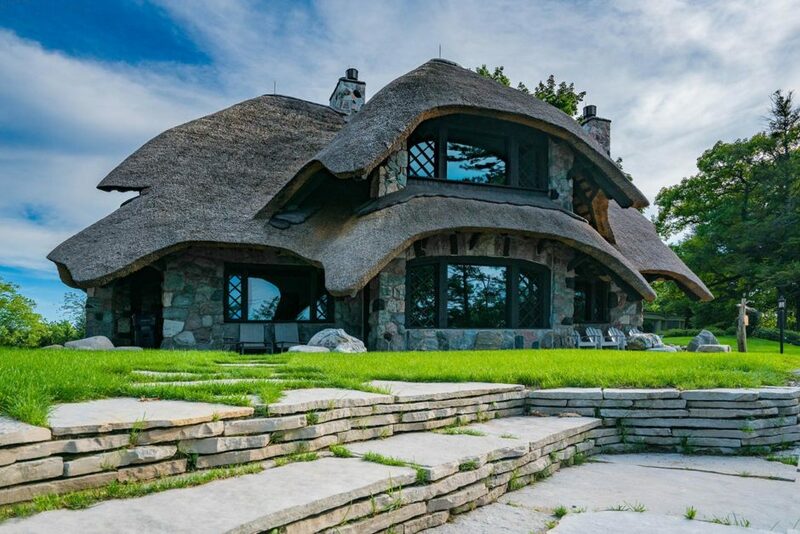 It’s famous for its “Mushroom Houses” designed by Earl A. Young. Captivated by the stones and boulders he discovered along Lake Michigan, Young created some 30 unique structures over five decades, all resembling hobbit houses in their own way. Many are still standing today and can be toured on your own or with a local guide from the Charlevoix Historical Society and the Round Lake Gallery of Art. Just know that some are private residences, so be respectful. 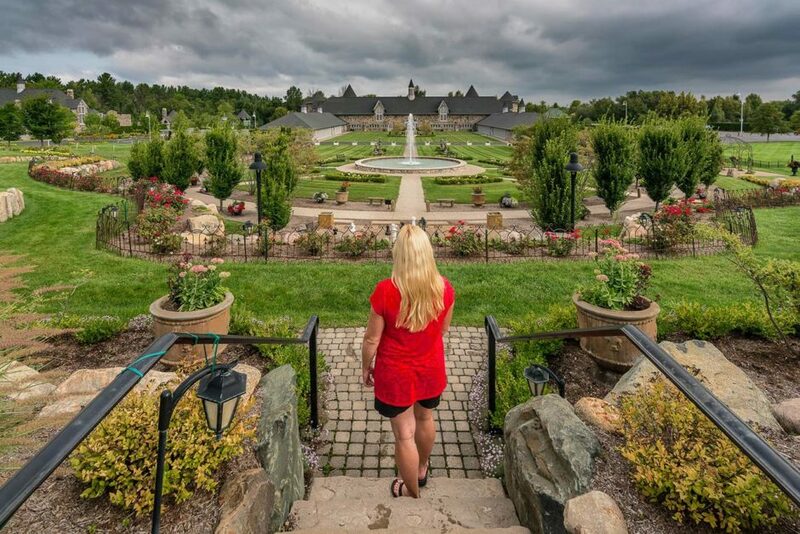 Since you can’t stay in your own hobbit home, your next best bet is the Edgewater Inn. That way you can rest up before you’re up all night completing the next highlight on this list. 4. You can see the Northern Lights from right here, too. People often think you have to travel to the far north to see the Northern Lights, but the aurora borealis can be spotted in Northern Michigan. 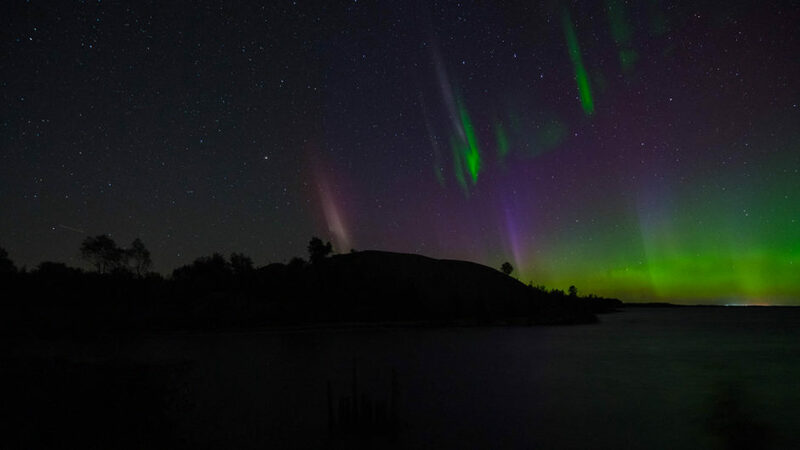 We witnessed this spectacular phenomenon over Lake Huron, though Lake Superior’s southern border (in the Upper Peninsula) is a good spot, too. Most places up here suffer from very little light pollution, but the one thing you do have to look out for is a high treeline; the aurora tend to be low in the sky, so you’re best off when nothing is obstructing your view — like along the shores of one of the many lakes. But however or wherever you decide to look for them, forget going to Iceland or Alaska — the Northern Lights can be seen dancing in the skies over Northern Michigan. 5. 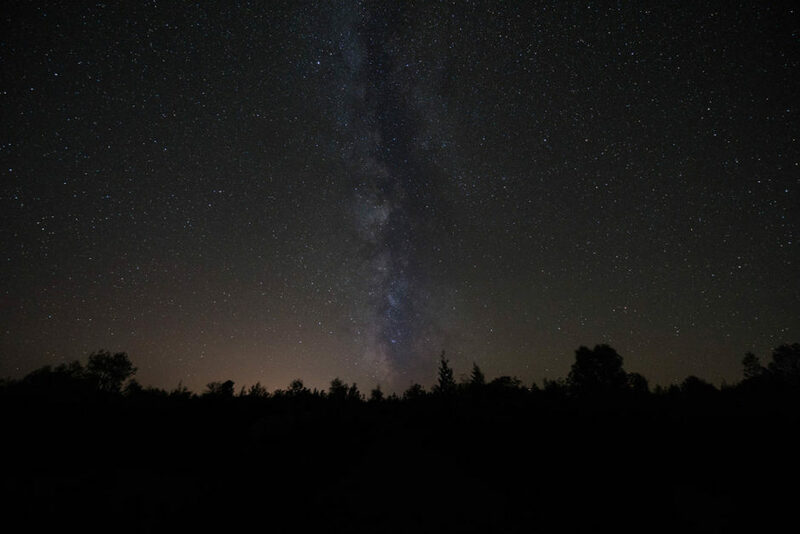 There’s a dark sky preserve for epic stargazing. The later you arrive, the fewer people will be there and you can have the preserve all to yourself. 6. There once was a kingdom of Michigan. Sort of. The UK isn’t the only place that has a kingdom! Northern Michigan had its own kingdom of sorts once upon a time, not too long ago. The Mormon Kingdom of Beaver Island, a place now known for secluded forests and beaches, was run by self-proclaimed King James J. Strang. He was the alternative leader to Brigham Young when Joseph Smith died, and a few chose to follow him to Michigan. Initially he did quite well — started a newspaper, took part in the Michigan house of representatives — and the community flourished. However, power went to his head, and he became an autocrat, a polygamist, and prone to violence. From 1848 to 1856, the kingdom ruled…until Strang was murdered by two men he’d ordered flogged. His controversial methods upset surrounding communities, and, after his death, mobs came from neighboring islands to drive the Strangites from their homes and confiscate their property. The exiled Strangites were quickly replaced, and now the island is much, much more peaceful. You can get there via ferry from Charlevoix, take in the history, get on the water, and set up your tent in your own little starry oasis away from it all (or, you know, stay in a warm bed, like at Harbor View Motel). 7. Lakes don’t get much more beautiful than this. 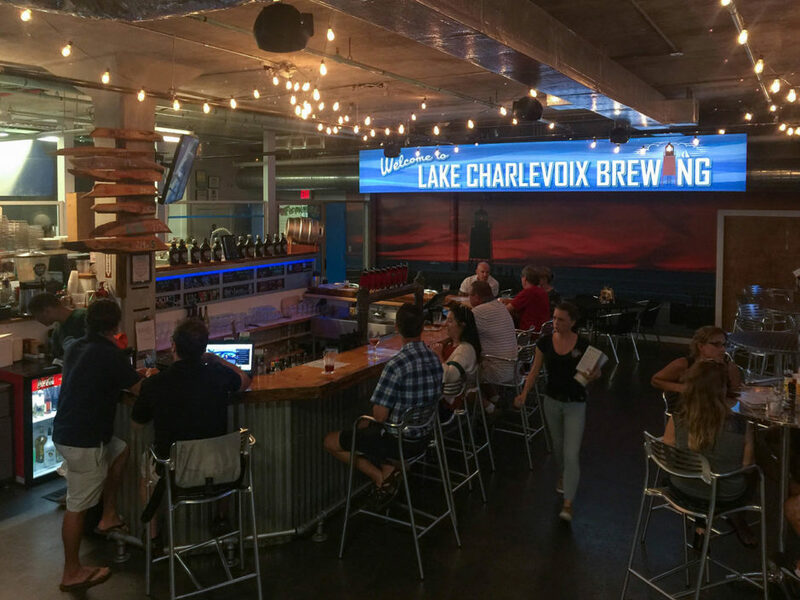 Lake Charlevoix may be the “second best lake in America,” but the people of Charlevoix like to think of it as the most beautiful lake east of the Mississippi. 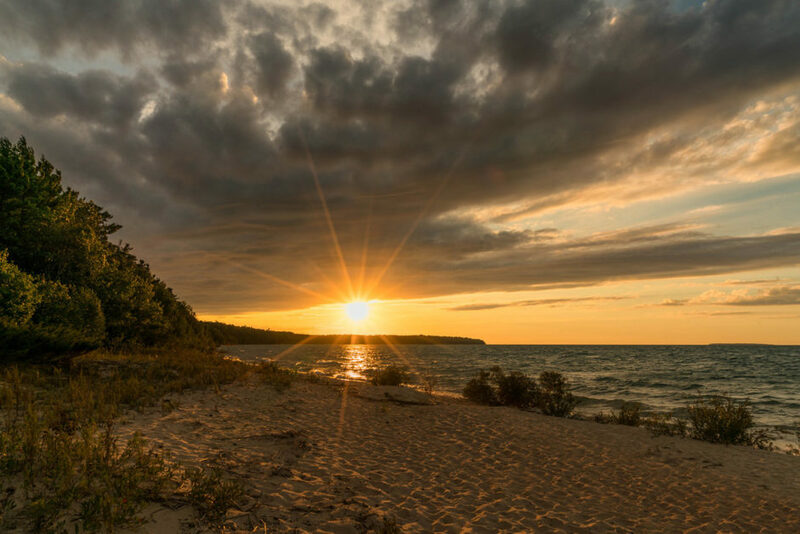 As voted on and chosen by USA Today, Lake Charlevoix is second only to Lake Tahoe. This blue spot keeps topping lists thanks to its golden-orange sunsets, 56 miles of pristine beaches, beautiful (and accessible) harbors, and its clear, deep waters. It’s filled with large yachts and lined by multi-million-dollar mansions, so be sure to bring your boat shoes. And remember how famed writer Ernest Hemingway spent 21 summers in Michigan? He chose to get married here, too. 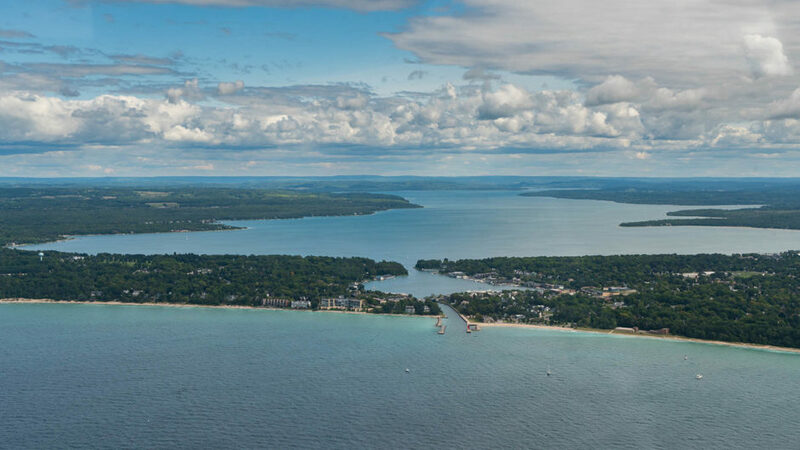 Located just 800 feet offshore in Little Traverse Bay in Petoskey, you’ll find “the only freshwater shrine in the world.” An 11-foot crucifix sits in over 20 feet of water, serving as a memorial to divers. 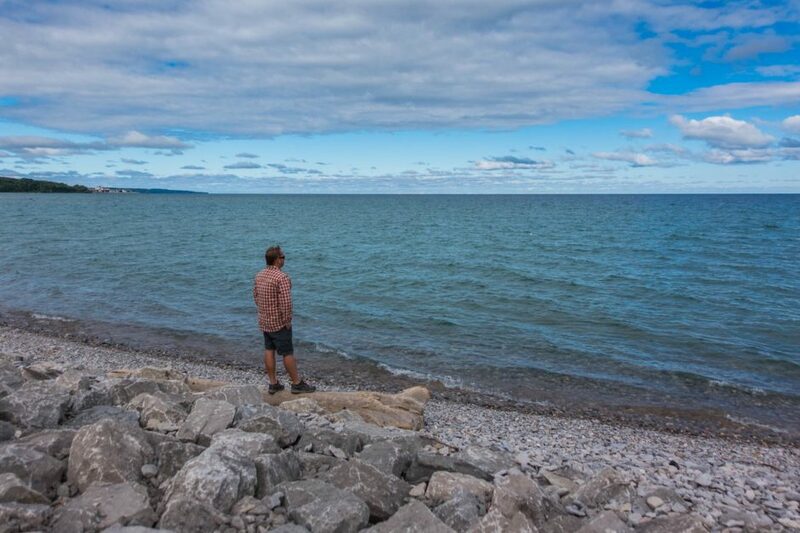 It was placed here in 1962 to honor a local diver who drowned but was later expanded to memorialize all who have died in the water — fitting, since there have been hundreds of shipwrecks in the Great Lakes. And once a year in late winter / early spring, locals and visitors are given the opportunity to walk out to see the shrine in the dead of winter. A portal is cut through the four-foot-thick layer of ice to showcase the giant Italian statue, and over a thousand people gather for the otherworldly experience. If you can handle the chilly air, this is definitely a lake experience like no other. 9. ..and the nation’s only freshwater national marine sanctuary. 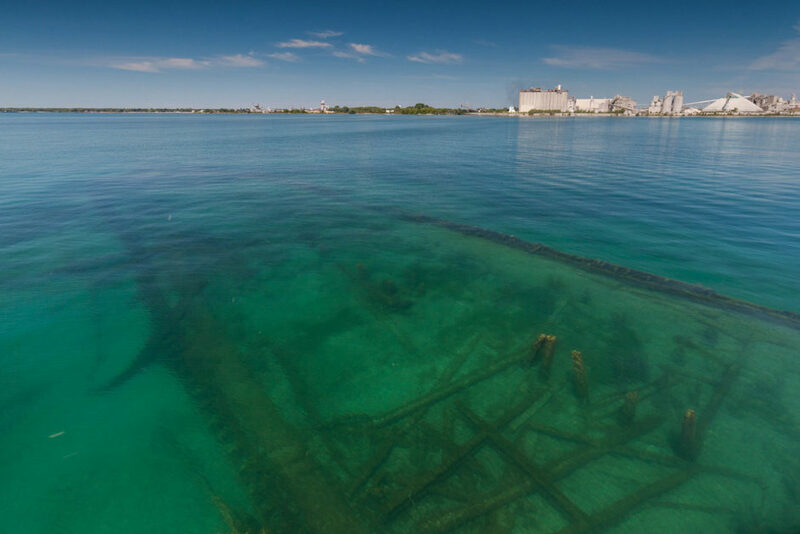 The Great Lakes are known for their perilous waters and plentiful shipwrecks (see above). Located in northwestern Lake Huron, Thunder Bay National Marine Sanctuary spans 4,300 square miles, housing one of the best-preserved collections of shipwrecks in America. Storms off these shores have claimed more than 200 ships, and 100 have already been discovered within the sanctuary’s borders. It’s a diver’s paradise, too. You can explore an array of ships, from side-wheel steamers sitting in just a few inches of water to modern freighters covered by hundreds of feet of water. You’ll also have the chance to snorkel, paddleboard, or kayak over some of these wrecks. Rockport State Park holds the distinction of being Michigan’s 100th state park and is home to Devonian Period fossils. 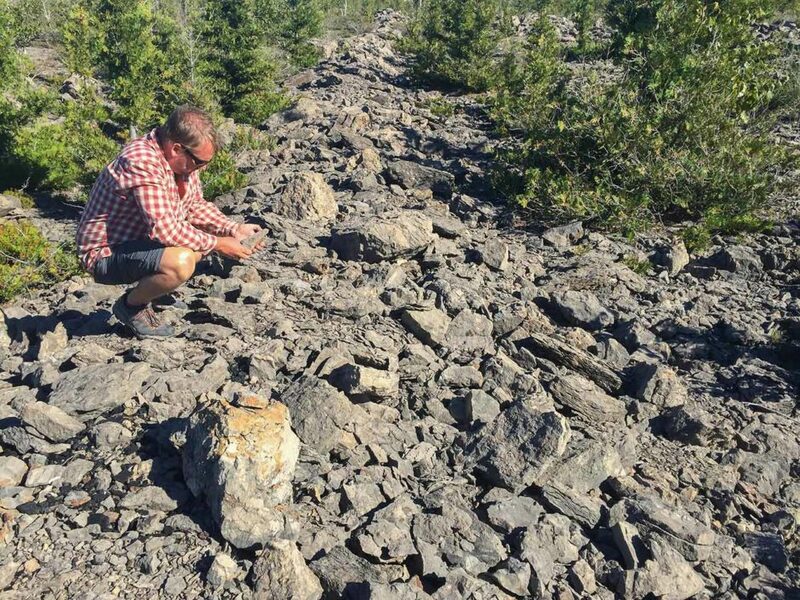 These 400-million-year-old rocks are in abundance in the old, approximately 300-acre rock quarry, and visitors are encouraged to search for fossils, put their hands on them, and even take them home. It’s quite a sight to see marine life frozen in time within these ancient rocks, and it’s even more exciting to know that if you find something cool, you can put it in your pocket and take it with you (up to 25 pounds, that is, so your pocket may not be big enough). But before you leave, consider staying till it gets dark — the park is part of a dark sky preserve, too. 11. …as are the precious gems. If you think geology rocks, you’ll love Northern Michigan. It was right smack dab in the path of ancient glaciers and seas, making its American history look like a throwaway paragraph in its textbook story. Instead of scouring local gift shops to commemorate your trip, head out to the Petoskey breakwall or along the beaches of Charlevoix in search of ancient fossils known as “Petoskey stones.” The 400-million-year-old formations look like limestone to the untrained eye, but make for a beautiful piece of jewelry when polished — they resemble a turtle’s shell with hexagon-like patterns. They’re technically rock and fossilized coral, deposited during the Devonian Period and later churned up by glaciation. 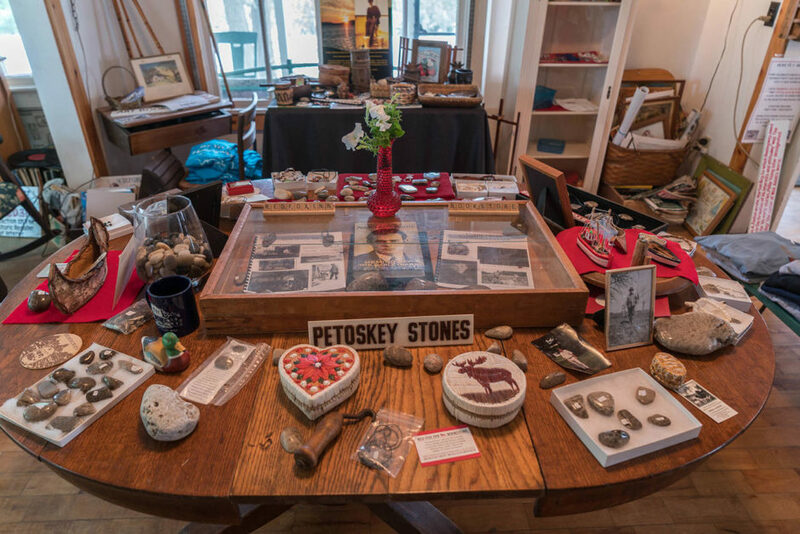 If you don’t have luck finding them, don’t worry — Petoskey stones are for sale in many shops around Northern Michigan. They’re the “state stone” for good reason. 12. This is beer country. Good beer. Michigan has some of the best microbreweries in the nation and is quickly climbing the ranking ladder. It sits at #5 in America for sheer number of breweries — the current count lost track somewhere over 200. Clearly, craft brewpubs have popped up all over the state, and a trip wouldn’t be complete if you didn’t sample a few. You can order a taster flight anywhere you stop, and if you like what you try, you can grab a growler like we did from the Lake Charlevoix Brewing Company. There’s nothing better than reminiscing over an ice cold beer you brought home from an amazing trip through Northern Michigan. This post is proudly produced in partnership with Pure Michigan.